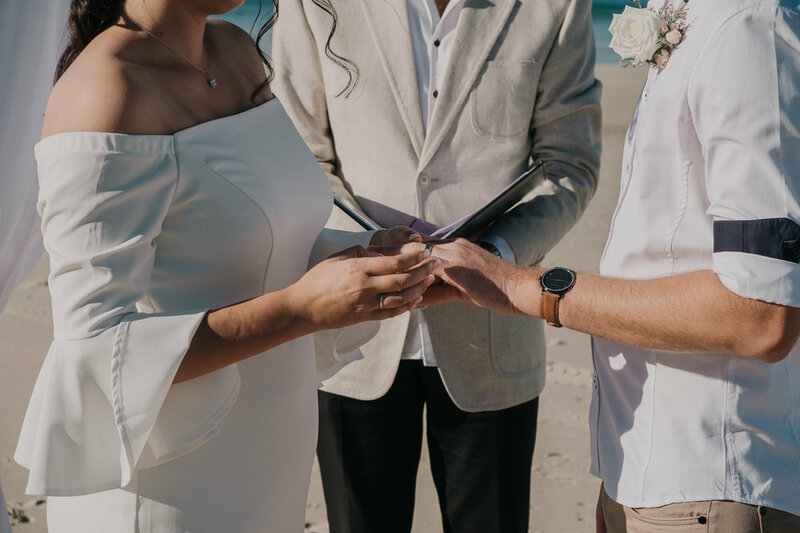 Joanne came to Australia for a holiday from England and met the love of her life Daniel by chance, and they have been inseparable ever since! 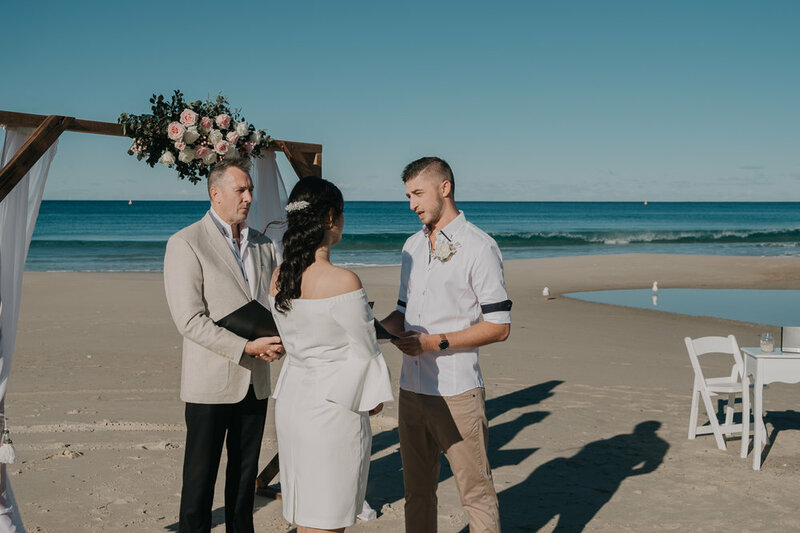 They decided to tie the knot by the beach, traveling down from Townsville for both their elopement and their honeymoon staying at the Q1 in Surfers Paradise. 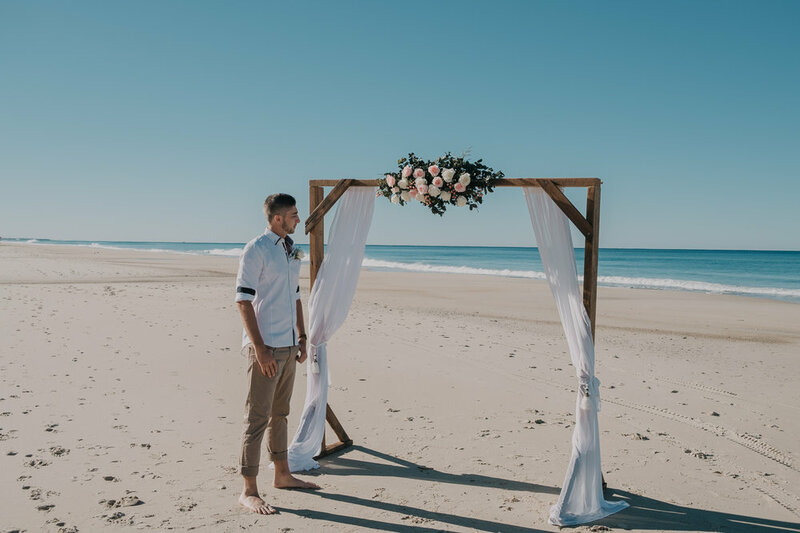 We set up a stunning arbour and signing table on Narrowneck Beach, at Surfers Paradise on the Gold Coast. 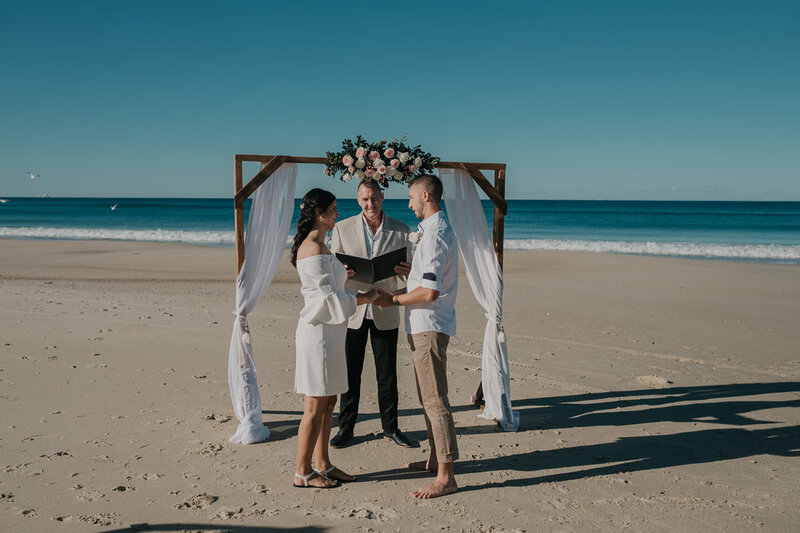 A "glitter blending" ceremony (a first for our celebrant Robert!) 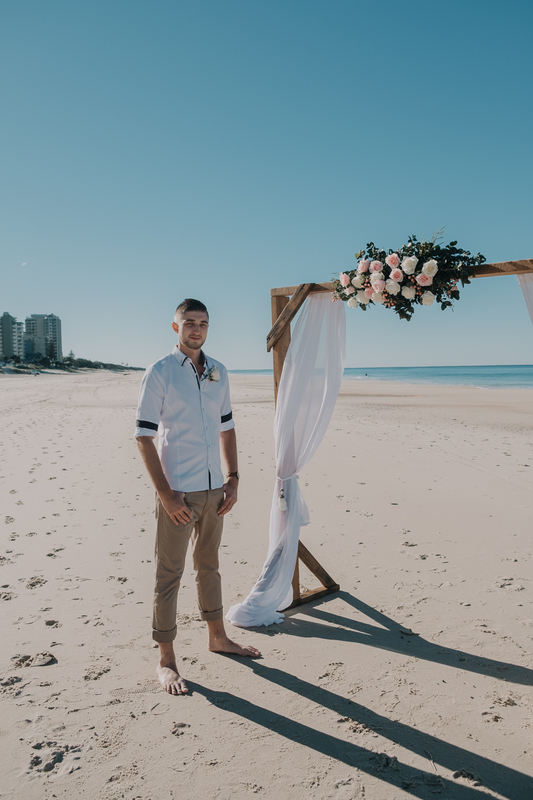 was a chosen way for Joanne and Daniel to blend their lives symbolically into one, with a pretty jar of glitter and sand for them to take home in memory of their day. Following their Ceremony we walked to Macintosh Park then drove to the nearby Spit at Main Beach for further portrait photos. What a fun couple and I wish them all the best in the future!